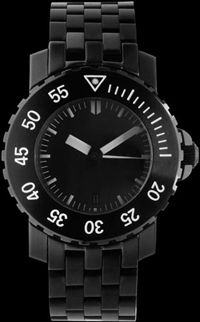 WestCoasTime watch brand has introduced a new version of the model WCT 1000m Diver – Watch WCT 1000 Tactical. Model differs from the previous hour stainless steel 316L with black DLC coating. Equipped with a unidirectional rotating diver’s body bezel with Arabic numerals.